I'm a Canadian and I'm currently in Guatemala with my family. I go there with my Dodge Grand Caravan 2008 SXT 3.3L. Hello ! I'm a Canadian and I'm currently in Guatemala with my family. I go there with my Dodge Grand Caravan 2008 SXT 3.3L . Everything going find after 13 000km. This morning I just want to place my van correctly on the side of the road. I start it 2 times without any trouble but the third time , they just don't want to start anymore. I just here a little "click" when I turn the key on , but the start don't make "click click click " noise and the motor don't turn at all. The radio shutdown and come on after few seconds. The steering wheel turn and the key are okay. Mechanic's Assistant: Are you fixing your Grand Caravan yourself? What have you tried so far? I trying to check some fuses , unplug the alarm system to be sure this is not the problem. But find any issues from there. No , I think all informations be there , all what I know. Another think , before I start it 3times , I see my fog light unplug. I get it not working from the perchase of the van in 2010. So when I see it unplug under the bumper , I get the "good" idea to plug it back. But the fog lights don't working and this is after this 3 starting try out thant the problem happen. Don't know if the fog light cause the issue ( why the previous owner unplug it ). 1- Disconect Battery Cables ( Negative & Positive Cables )you can use any electrical wire as an extension if battery cables don't reach . Hi Chad !Thanks a lot for your fast aswer. I finished the sequence you tell me and nothing changed. I hear a little "click" under the hood and after few try , I don't hear the "click" anymore. If I wait few minutes I can hear the "click" again. I don't know if you see my second message before you answer , I wrote it probably in same time than you wrote just to be sure. 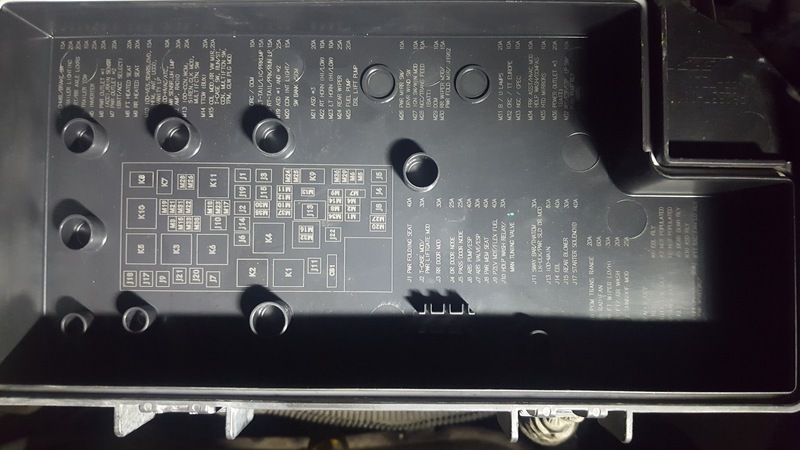 that clicking sound tell me either battery is weak below 12 volts you need to check with voltmeter , is radio working flashers ,anything dimming ? check battery cables for loose or corrosion ?wiggle by hand ? go to starter wires check for loose or corroded ? i do not know if u have a test light ,at time you turn switch to start position do you have 12 volts at starter ? The click is really tiny , more like a relay clicking then the starter solenoid clicking I think. But just in case I currently trying to find somebody with a boost cables for trying a jumpstart.I left my multimeter at home unfortunatly but I don't feel the baterry is low. The lights ( low and high ) don't feel dimmer to me.I have a test light. I need to see where the starter is located for making test. It's night right now in Guatemala and it's pretty dark. Probably trying tomorrow morning with daylight will be better.I trying to switch the starter relay ( K3 ) with another one but same result. I don't remove and check every fuses , I will do that tomorrow morning too. 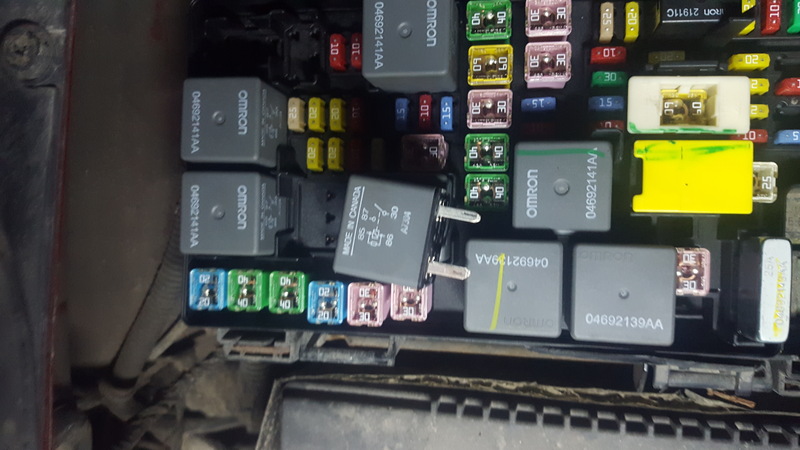 There another way to test than a visual check ?I send three photos of the fuses box diagram and the starter relay just in case. 1. Install engine support tool 8534-12 or equivalent. 2. Disconnect and isolate negative battery cable at battery. 3. Remove battery cable nut (1) and battery cable (2) from solenoid stud (3). 4. Disconnect electrical connector (5) from starter solenoid (4). NOTE: Graphic depicts 3.3L & 3.8L starter motor with six speed automatic transmission. If equipped with 3.3L engine and a four speed automatic transmission skip steps 5 through 9. 5. If equipped with six speed auto transmission, remove transmission to starter mounting bolt (1). 6. Remove two front transmission mount to starter mounting bolts (3). 7. Remove starter assembly (5) from transmission (2). 8. Rotate starter assembly (5) to allow removal from vehicle. 9. Remove the starter motor dust shield (4). NOTE: Graphic depicts 3.3L starter motor with four speed automatic transmission. 10. If equipped with 3.3L engine and a four speed automatic transmission, remove transmission to starter mounting stud (1). 11. Remove two front transmission mount to starter mounting bolts (3). 12. 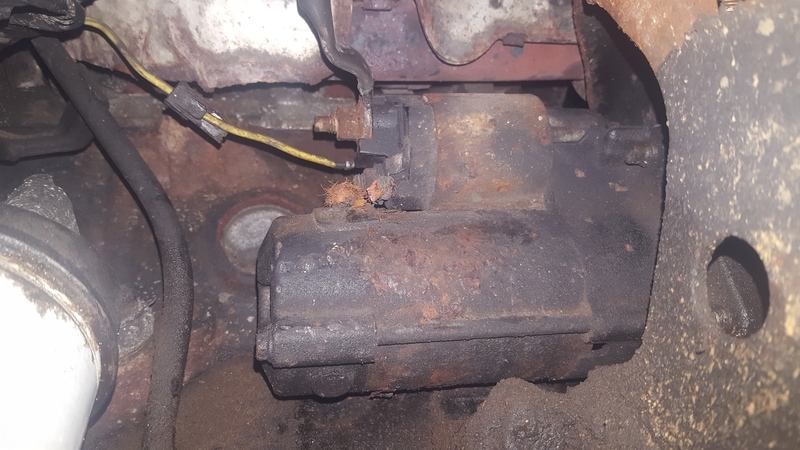 Remove starter assembly (5) from transmission (2). 13. Rotate starter assembly (5) to allow removal from vehicle. 14. Remove the starter motor dust shield (4). STANDARD STARTING SYSTEM The starting system consists of: - Starter relay - Starter motor (including an integral starter solenoid) Other components to be considered as part of starting system are: - Battery - Battery cables - Ignition switch and key lock cylinder - Clutch pedal position switch (manual transmission) - Park/neutral position switch (automatic transmission) - Wire harnesses and connections. The Battery, Starting, and Charging systems operate in conjunction with one another, and must be tested as a complete system. For correct operation of starting/charging systems, all components used in these 3 systems must perform within specifications. When attempting to diagnose any of these systems, it is important that you keep their interdependency in mind. The diagnostic procedures used in each of these areas include the most basic conventional diagnostic methods, to the more sophisticated On-Board Diagnostics (OBD) built into the Powertrain Control Module (PCM). Use of an induction-type milliampere ammeter, volt/ohmmeter, battery charger, carbon pile rheostat (load tester), and 12-volt test lamp may be required. Please kindly rate Me ,Your 5 Star Rating is Much Appreciated. Perfect ! I have to try many things tomorrow with all your recommandations and let's you know if I got somethings new or not. - I plug the negative wire of my test light on the negative pole of the battery. - I keep the yellow wire touched , my wife put the keyswitch at start ( the testlight goes on )So I think all the circuit is okay. This correct ? 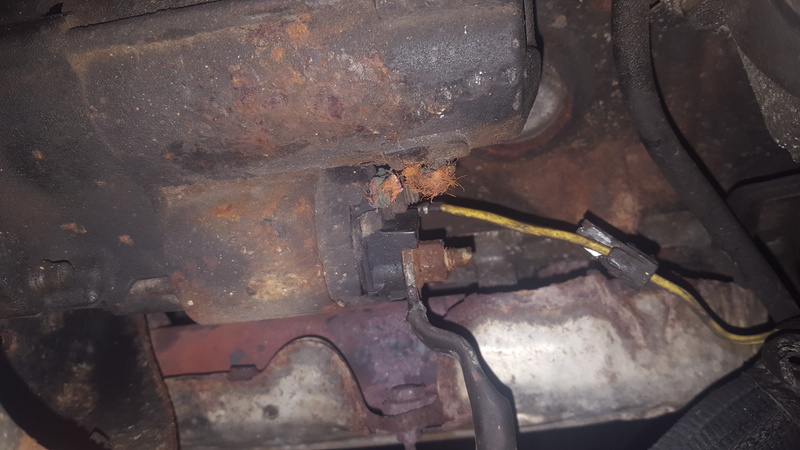 But one thing I see is the a big copper wire between the solenoid and the starter is just so rusted that it's cut off. See on the two photos. Here we go ! This is the problem. WIth a wire with 2 aligator clips , I close the circuit of the broken wire. I try to start the van and it's work !!! Now I have to fix this wire permanently ... without removing the starter if possible. Hi !Sorry forget to wrote everything working well now. I buy a small copper pipe that I enter in it each end of the broken wire. I squeeze the pipe over the wires. Soldering is not possible due to the degradation of the copper wire. The car start very well like before and the junctions I made don't get hot due to the high curent even after 6 consecutive start.Thanks a lot for your help to confirme the problem and assisting me ! Really appreciated. Give you 5 stars ! wow that is awesome man ,make me happy .that was a great job on your part yay . Windows fog up in cold temps. Front heater core replaced. blink..Also, fog light only a fraction of intensity of the good side. 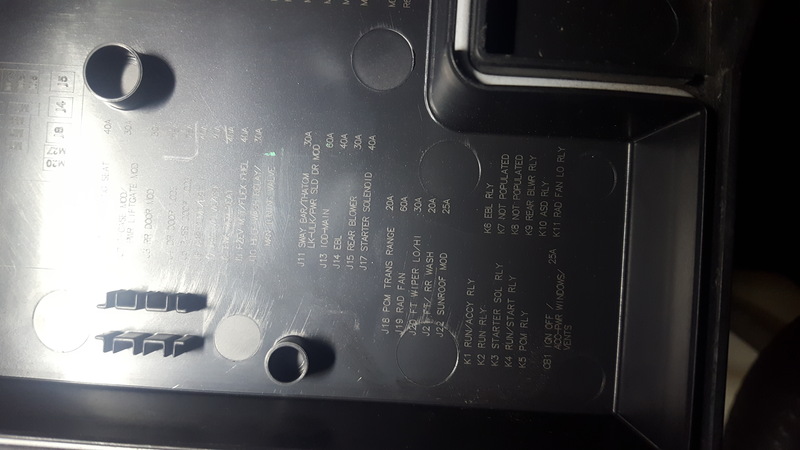 2001 XG300: fog..activated..replace the bulb but not sure how.